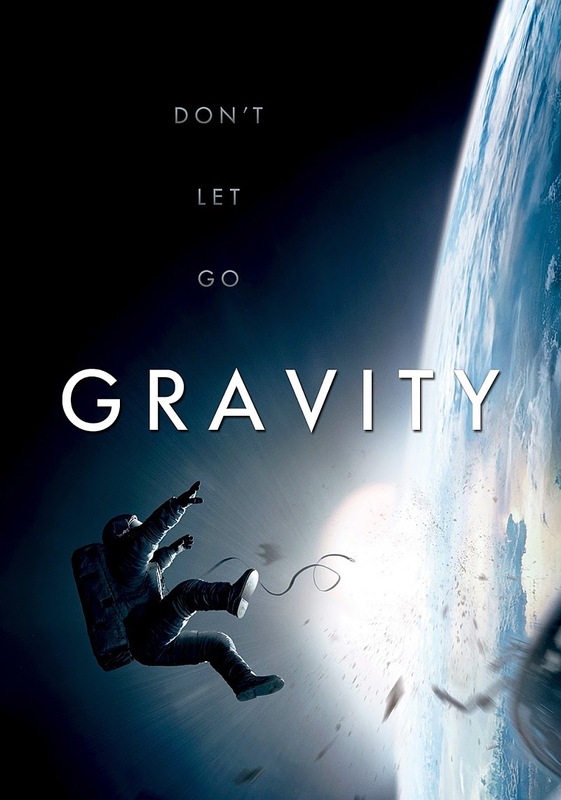 Gravity comes to us thanks to Mexican director Alfonso Cuarón and his co-writer son. Quite frankly, it is one of the nerve-wracking, emotional and visually exciting films you will probably see with a main cast of only three people. Cuarón does a grand job throughout his pretty short runtime (91 minutes to be precise) of balancing the phenomenal space landscapes and knuckle-biting drama. Everything that the director throws at you is designed to take your breath away but not entirely steal focus. It’s clever and precise film-making that will restore your faith in the industry. The opening manages to be both sedate and breathtaking. In the impressive and unbroken 13 minute take, the camera slowly pulls away from aerial shot of planet Earth to reveal the films meagre cast making repairs to a satellite. Sandra Bullock plays rookie engineer, Dr Ryan Stone, who can only boast of six months specialist NASA training. Understandably nervous, she carries out her repairs under the watchful eye of veteran spaceman Matt Kowalski (George Clooney) who would rather spend his time gleefully playing with his super cool jetpack. He happily lets the scientists work as he regales Houston mission control (voiced by Ed Harris in a wonderful reference to his role in the 1995 space-adventure Apollo 13) with his all too familiar anecdotes. It is a lovely and understated opening to a film that is pretty much guaranteed to keep you on the edge of your seat for the remainder of the narrative. For, inevitably, the mission isn’t all plain sailing. All too soon word reaches our space folk that trouble is brewing in the shape of debris heading straight for them. When Dr Stone finds herself untethered and drifting through space, the audience is spinning along with her. We join her on her frantic race against time: equally alone and equally lost. Gravity is a tense experience. Thanks in no small part to Steven Price masterful and atmospheric Gravity is made what it is because of sound or, in actual fact, the lack of it. Taking its lead from that Alien adage “in space, nobody can hear you scream”, Cuarón, for the most part, leaves the film hauntingly quiet. The most claustrophobic moment occurs just after Bullock has been set adrift in space where the audience moves inside her helmet and can only hear her frantic breaths. Bullock essentially carries the weight of the film on her shoulders. Thankfully, she pulls it off with great gusto: showcasing not just physical flexibility but emotional range and mental strength. Since it was released, there has been a great deal said against the scientific fact on show within this film. Whilst I admit I’m no real scientist (my A Level Chemistry teachers would definitely attest to this fact), I honestly can’t say that I care. Gravity, like every other Hollywood film, behaves as though the characters and story that it is presenting is both relevant and entirely feasible. It stands out as a film set in space because it neither refers back to the golden age of space exploration nor looks into an exciting and unknown future. Gravity is a contemporary piece that could very easily be happening above our heads. Meaning that, even though Cuarón’s film may demand you suspend your disbelief on a fair few occasions, this film becomes all the more absorbing. For that is the great thing about Gravity: from the opening subtitles onwards, it engulfs its audience. I, like most sane people, haven’t completely warmed to the new 3D era of film. I have enjoyed specific productions that have utilised it well but have yet to be convinced it was a technological advancement that we desperately need. Hugo, The Hobbit and, though I’m loathe to offer it too much praise, Avatar have all shown that, given the right love and attention, 3D can be a benefit. Then comes Gravity: quite simply the visual effects supplied by Tim Webber are mind-blowing: the only time I’ve ever been one of those people who ducks when something comes flying towards them. Avatarwas the first triumph for the third dimension but Gravity takes it to another level: providing a totally immersive experience. It is only when the film reaches its denouement that everything looks to be on shaky ground. Cuarón hammers homes the idea of rebirth and evolution. It feels a little sloppy and rushed after such a sensational display of talent and care. Stone is the ordinary woman who finds herself in the most extraordinary of situations and she has to fight, at times with herself, to survive. Cuarón is forever pushing the drama throughout the film and, by the final scene, there is a disappointing sense that he has tried to push it too far. However, by the time it reaches that point, you’ll have gone through too much emotional turmoil to really be paying attention.